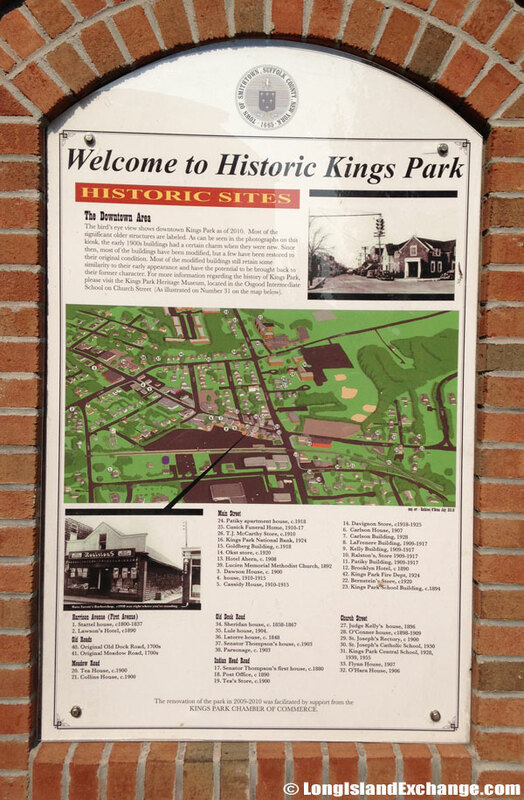 Kings Park is a hamlet and census-designated place located in Suffolk County, on the North Shore of Long Island, New York. 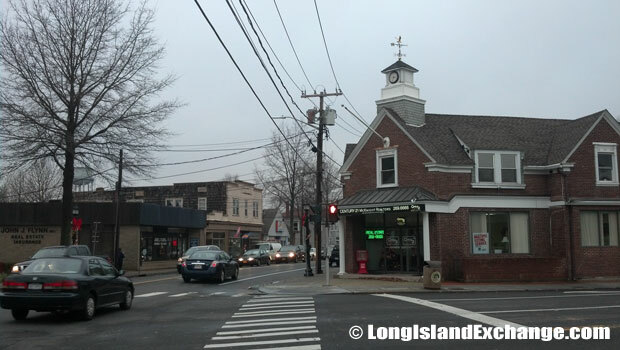 It is within the Town of Smithtown. The hamlet is renowned for its schools, numerous parks, and natural beauty. Kings Park has five miles of shoreline and it borders on the Nissequogue River. As of the 2010 census, there were 17,282 people, 6,038 households, and 4,759 families residing in the CDP. The median household income was $92,921 and the Median family income was $106,128. The latitude of Kings Park is 40.886N. The longitude is -73.257W. It is in the Eastern Standard time zone. Elevation is 174 feet. 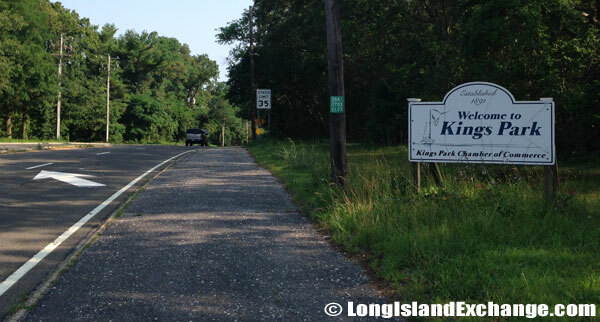 A sign off the Sunken Meadow State Park exit welcomes visitors and residents to Kings Park, a hamlet and census-designated place first established in 1891, located in Suffolk County, on the North Shore of Long Island. 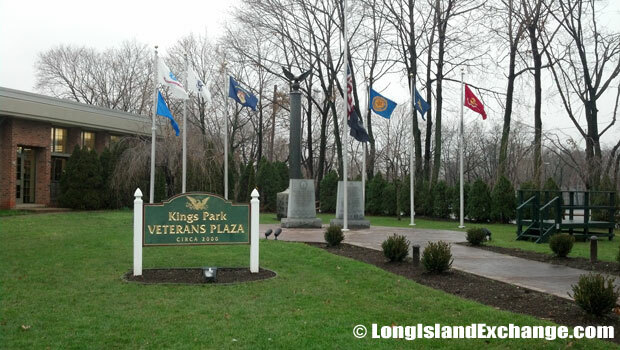 Kings Park Veterans Plaza on a brisk and wet fall day. An annual tree-lighting ceremony is held here during holidays in December. 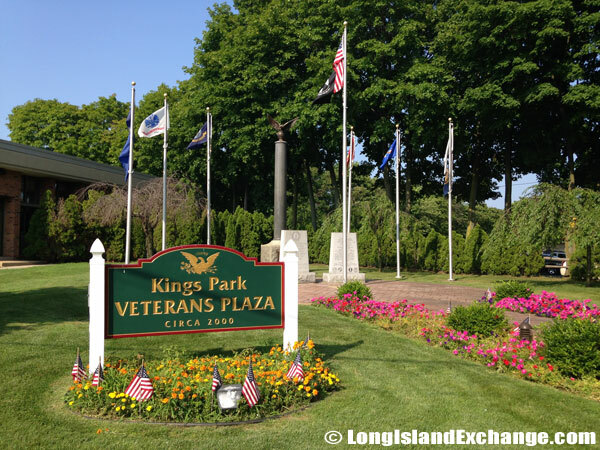 Kings Park Veterans Plaza in summer. 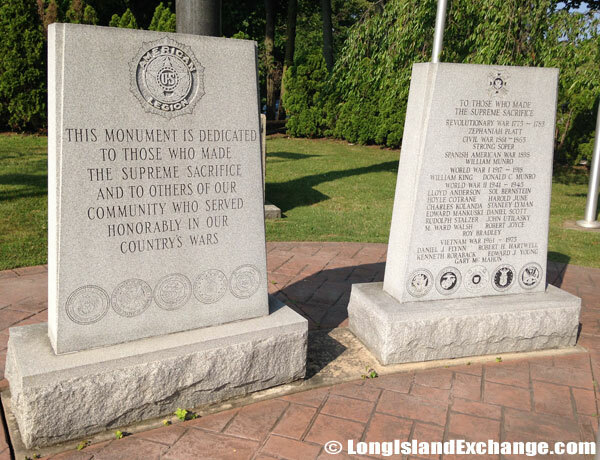 Monuments in Kings Veterans Plaza memorialize for those who have made the supreme sacrifice. 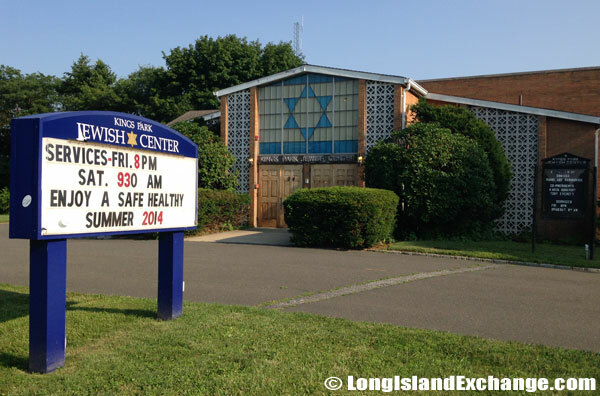 The Kings Park Jewish Center. 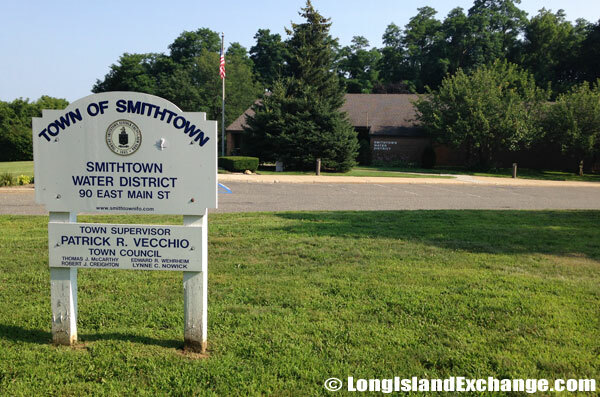 The first European settlers, dating back to colonial times were descendants of Richard “Bull” Smith, the founder of Smithtown. The eighteenth century home of Smith’s grandson, Obadiah Smith, remains intact on what is now St. Johnland Road. In the 1960s and 1970s, Kings Park was transformed from a small, aging hospital village into an active young suburban community. The community was named for the Kings County Farm, a local institution for the poor and mentally ill. Kings Park is best known for its state mental hospital. Founded 95 years ago, the hospital was originally for residents of Kings County. In 1887, the name of the village was little more than a railroad station and farms. 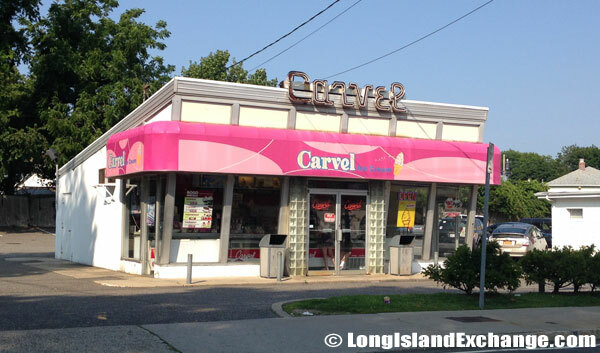 Carvel Ice Cream, Kings Park. Small shops line village streets in Kings Park, New York. 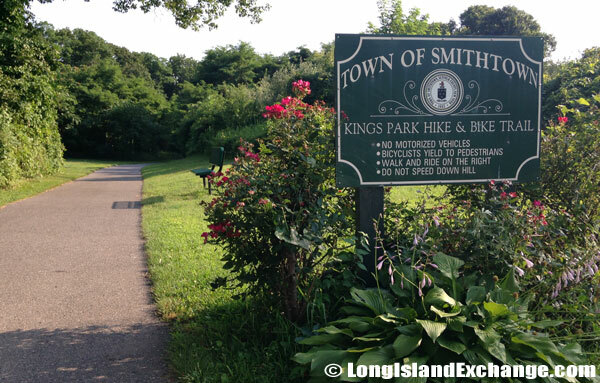 Kings Park water is provided and maintained by the Town of Smithtown Water District. 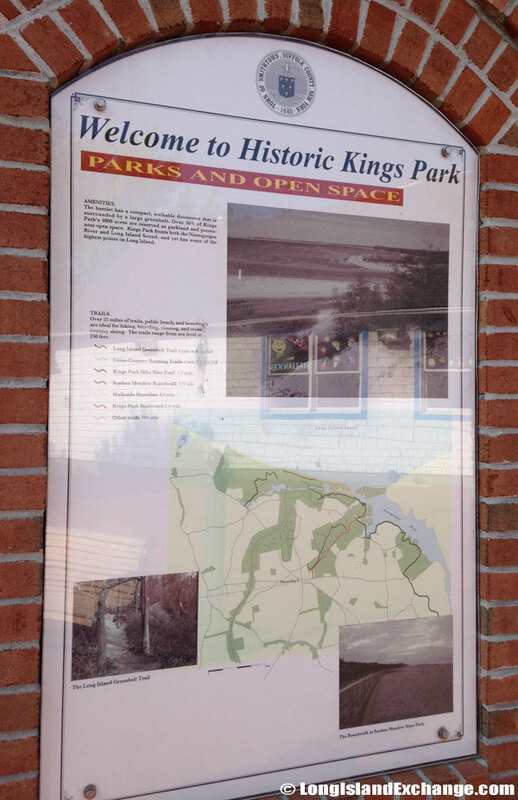 The Kings Park Hike and Bike Trail runs for 1.5 miles between Old Dock Road and Nissequogue River State Park. Notable residents include Craig Biggio (baseball player), John Petrucci (metal band Dream Theater member), John Myung (metal band Dream Theater member), and Kevin Moore (metal band Dream Theater member). About 28% of Kings Park residents were Italian ancestry and 24% were Irish. 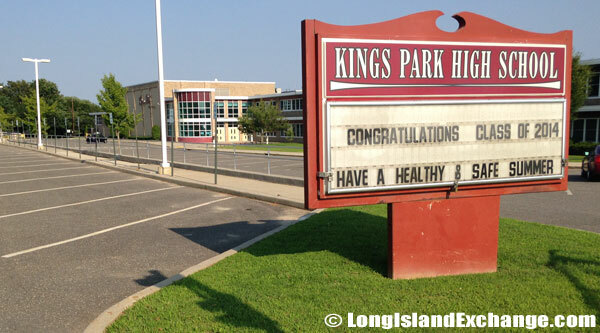 The Kings Park Central School District includes residents of that portion of Fort Salonga that lies in the Town of Smithtown as well as residents of Kings Park that has a total of one intermediate school, two elementary schools, one middle school, and a high school. 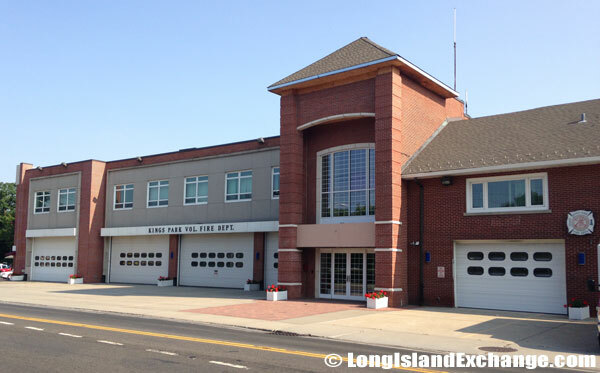 The Kings Park Fire Department traces its beginnings back to 1913. The Kings Park Fire Department protects life and property within the communities of Kings Park, San Remo and Fort Salonga. 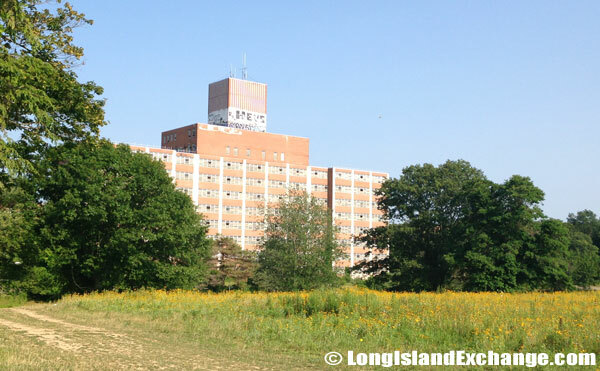 The community was named for a local institution for the poor and mentally ill. Its state mental hospital, the 870-acre Kings Park Psychiatric Center was founded in 1885 and was originally called the Kings County Farm, for residents of Kings County. In 1996, the Psychiatric Center closed. It’s buildings have been lying vacant for years. Kings Park High School, part of the Kings Park Central School District. 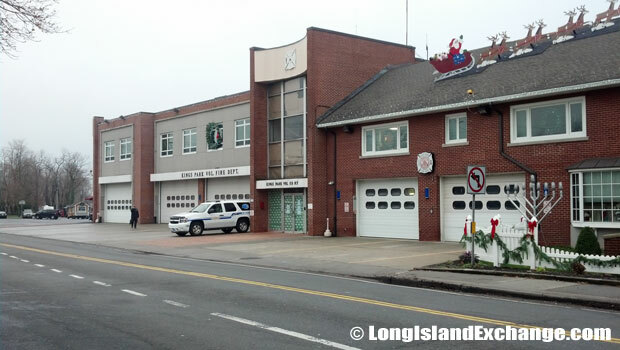 The Kings Park Fire Department dates back to 1913 when a handful of residents met in Claytons livery barn on Meadow Road to name their private fire brigade “Kings Park Hook and Ladder Fire Company” and currently services the entire Kings Park area, as well as Fort Salonga up to Bread and Cheese Hollow Road. The Kings Park Heritage Museum is one of the popular stops in town. The museum offers exhibits on the rich water heritage of the area with several rooms featuring artifacts from Kings Park families which include books, photos, tools, and family trees. A city center sign details some of the rich heritage of the area. This birds eye view in the city center shows downtown Kings Park as of 2010. 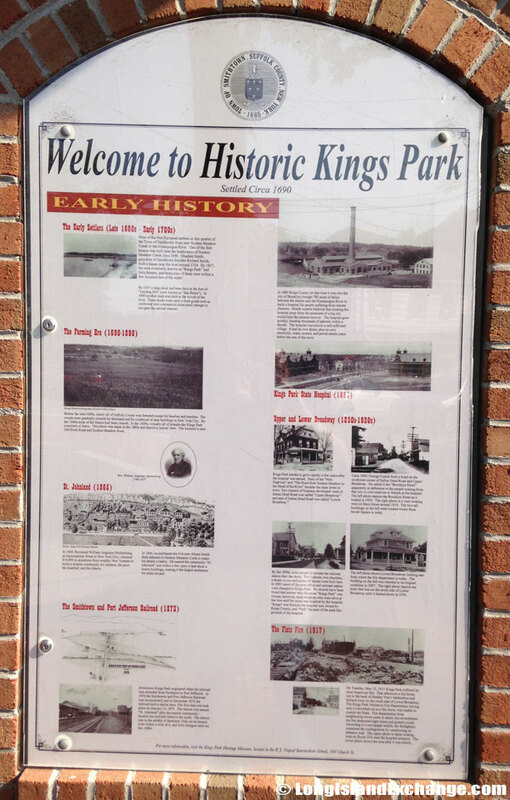 The Kings Park area, although founded in 1891, was first settled in circa 1690. 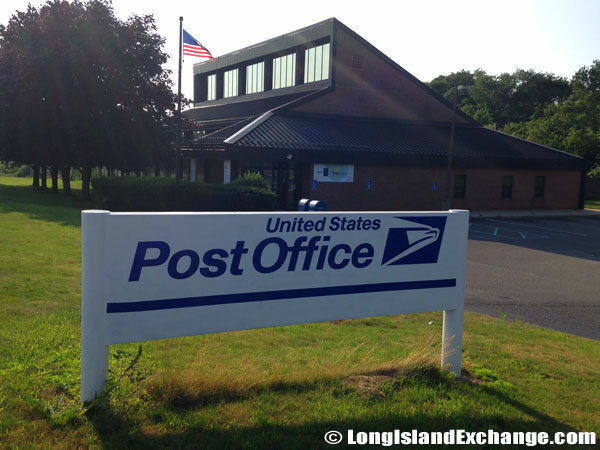 Post Office in Kings Park, NY. 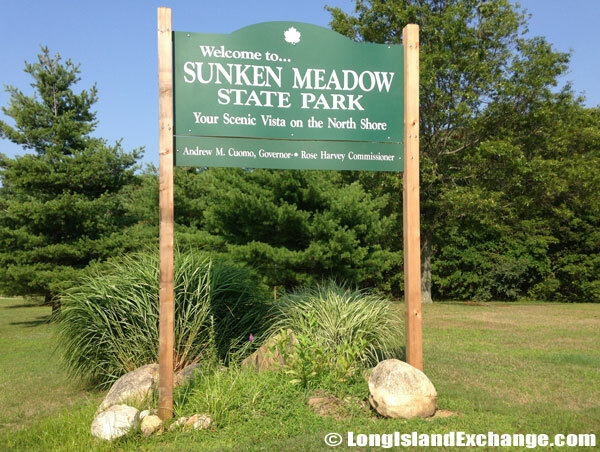 A sign welcomes visitors and residents to Sunken Meadow State Park; a park for cross-country running, a golf course with three 9-hole courses, facilities for biking, a white sand beach, and general recreation. Other historical landmarks include Sunken Meadow State Park; a park that provides an excellent venue for cross-country running, and host competitions for many cross-country teams from local high schools and runner’s club. It has also a golf course with no less than three 9-hole courses and facilities for biking, white sand beaches and general recreation.